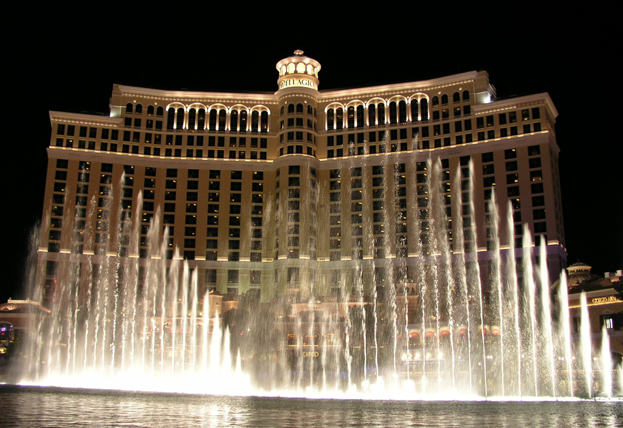 Tags: Bellagio, las vegas, Michael Charles Cohen, robbery. At a news announcement on Monday, Assistant Clark County Sheriff Charles Hank described Cohen as "a brazen criminal that showed no regard for his victims" and who was "willing to use deadly force on a police officer in order to make his escape." Hank said that investigators linked Cohen to the 2017 robbery via the bandages adhered to the left side of his face prominently seen during both incidents. Hank also stated Cohen was wearing the same hoodie, glasses and black beanie during both crimes, "We're relatively certain that he is ... the same suspect from 2017." On Monday, the office of the Clark County coroner identified Cohen and declared he died of a gunshot wound to his head. The four police officers who responded were actually already near the casino investigating a missing child when an armed man approached the poker cage at about 9:45pm Friday (March 15) and demanded cash and chips. 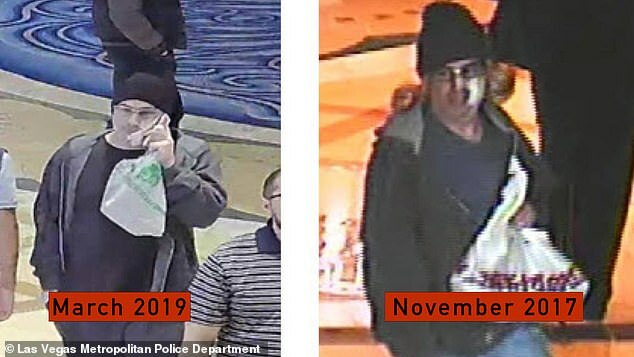 Cashier staff quickly sent out a radio alert saying the robber had fled with an undetermined amount of cash and poker chips through the northern casino entrance to a valet area nearby Flamingo Boulevard. In the valet area, Cohen attempted to hijack an unoccupied Mercedes parked that time but couldn't find its keys. He then went to a locked BMW with a female driver in it. After he tried to get into the car, he brandished his Bodyguard .380 caliber semiautomatic handgun. Police in the valet area spotted Cohen accosting the lady at the same time they heard a radio broadcast of the robbery and immediately recognized that he was the suspect. They ordered him to get down to the ground but he refused and instead stepped back from the car, fired one round from his handgun, hitting an officer in the chest. Fortunately for the officer, he was wearing a bulletproof vest and only suffered minor injuries. 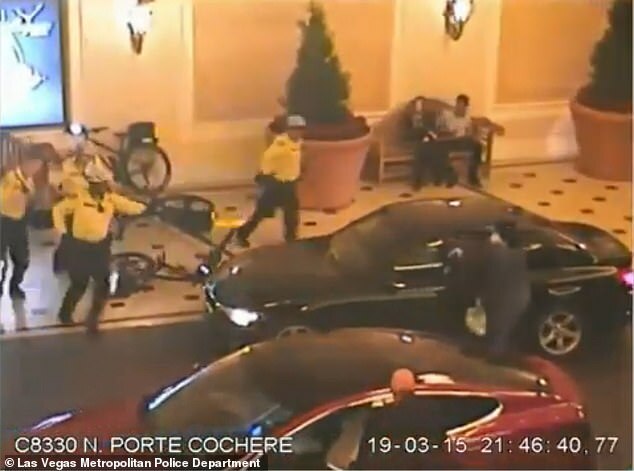 Cohen then tried to run across the valet lanes, and then 29-year-old officer Joaquin Escobar fired his gun that struck Cohen right in the head. Cohen and the injured officer he shot were taken to the University Medical Center. Cohen was pronounced dead at 3:17 am Saturday, March 16. Authorities said Cohen had an extensive criminal record, dating back to 1999 and 2008 for bank robbery convictions. He was also arrested in the past for carjacking, possession of narcotics paraphernalia, possession of stolen property, carjacking as well as other misdemeanor and traffic charges. Hank said, "We're fortunate that our officer's vest stopped that round. This could have been very tragic for our officers, as well as citizens or even that lady that was in her car. I'm just very grateful that our officers were present and took the action that they did, and that they're OK and that the community members and visitors of the community were OK."
Hank said that if he had survived, Cohen would have been charged with two counts of robbery with a deadly firearm, burglary with a firearm, attempted murder on a protected person, being a prohibited person in possession of a firearm, attempted grand larceny of a vehicle with a firearm and carrying a concealed weapon. 15 comments for "Bellagio Robber who died after Shootout with Police ID''d, Committed Same Crime in 2017"